Like it or not, thanks to the rapid spread of internet access and constantly evolving consumer electronics the media industry lives in interesting times. This decade is an inflection point where changes in technology and the media are happening with potentially as great an impact as the introduction of broadcast TV and radio last century. One industry under pressure thanks to these changes is traditional broadcast TV. TV is Changing – Can Australian Free To Air Networks Keep Up? Using a boxing analogy ABC TV’s IPTV (Internet Protocol television) iView project is in the “awesome corner“, achieved with a fraction of the the BBC iPlayer budget. ABC iView offers on demand ABC video content through the internet for Windows/Apple/Linux computers as well as Apple iPhone/iPad, Sony PS3/TV/Bluray players, unofficially on Android devices and soon on Samsung devices. 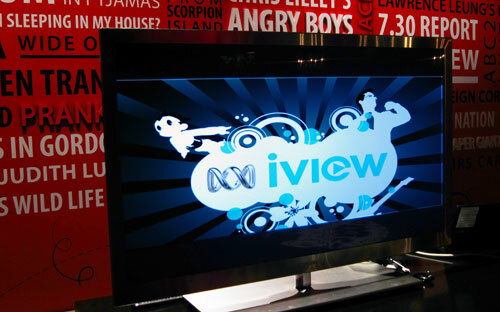 The other Australian TV network online catchup/IPTV services launched after ABC’s iView are in the other corner. Yahoo7! Plus7 and Ninemsn Fixplay are the strongest of these contenders with Network 10 and the cash starved SBS at the rear of the pack. There was a time when the Australian Free To Air TV networks only had each other as competitors. How they must long for those good old days because modern audiences have a plethora of choices for watching video content on demand over the internet, which means every foreign broadcaster and video content network is able to attract an Australian audience away from ABC, SBS, 7, 9 and 10. A great example of this is when important breaking news events occur overseas such as the recent overthrow of the Egyptian dictator Hosni Mubarak. Australians with an interest in geo-politics quickly realised that none of the Australian TV networks had a big presence in the Middle East and wondered why the ABC’s new News 24 channel wasn’t picking up coverage from Al Jazeera English, the best network in that region. Jeff Jarvis, associate professor at the City University of New York’s Graduate School of Journalism coined a rule for newspapers a few years ago “Cover what you do best. Link to the rest” but it applies equally well to TV networks in the time of natural disasters, civil unrest, wars etc because they should switch to a satellite feed of the best specialist TV network in that region and let them tell the unfolding story. Respected Internet/Technology writer Doc Searls declared that Al Jazeera in Egypt is US cable TV’s ‘Sputnik moment’ because when the news broke and he couldn’t watch Al Jazeera through his Cable TV service he “went to the App store, looked up Al Jazeera, saw something called Al Jazeera English Live was available for free, got it, and began watching live protest coverage from Cairo” on his iPad broadcast through the internet. “…Old-fashioned channel-based TV is a limping legacy…”. I initially watched ABC News 24 to find out about the people’s uprising in Egypt but their coverage was unsatisfactory so I switched to watching Al Jazeera on my laptop. 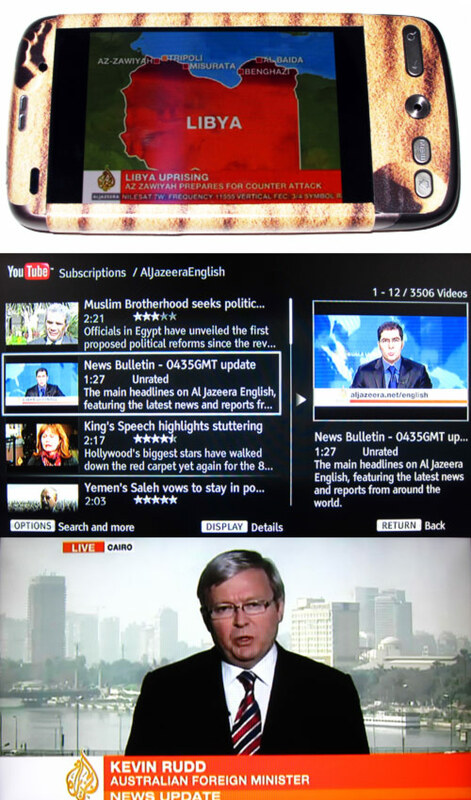 This has grown into a habit because I’ve continued to switch to them for coverage of the most recent Middle East uprising in Libya, watching the live AJ English video stream on my Android phone and on my TV through the AJ English Youtube channel which I subscribe to using my Sony Bluray Player. Kazaa/Altnet (where he was Chief Technology Officer, responsible for their end-to-end services). Drawing from these experiences Anthony will be talking about building and shipping BBC iPlayer on PCs, mobiles and connected TVs as well as his thoughts on upcoming trends and opportunities in the connected TV space at today’s Digital Directions 2011 conference held in Sydney. I interviewed Anthony about a variety of IPTV topics a few days ago via Skype, before he left UK to fly to Sydney for the Digital Directions 2011 conference. “At first blush the spaces are very different. It could be thought of as poacher turns game keeper. However both are about designing services for the mass consumer market and so they have remarkable amounts in common”. He explained that while the obvious first challenges for IPTV portal owners are getting the online rights for the best content and reducing bandwidth costs there is a bigger issue: any IPTV offering has to be “better than BitTorrent”. End users are often not happy that IPTV content is wrapped in Digital Rights Management (DRM) to protect the content from being copied and pirated but rights owners require DRM to protect their intellectual property. BitTorrent is a free, open source file-sharing application effective for distributing very large software and media files. While it can and is used to distribute some files legally, Australian IT reported last year that “a study funded by Village Roadshow and conducted by the University of Ballarat’s Internet Commerce Security Laboratory (ICSL), sampled a thousand BitTorrent files and found that 89.9 per cent of them were illegal”. Rose say that IPTV providers have the options of carrot and stick approaches to reducing piracy. While “many major media organisations prefer the stick” he prefers the carrot, which is why he made sure the BBC iPlayer made BBC video content available on a wide variety of platforms immediately after TV broadcast such as internet connected TV’s, Nintendo Wii, Sony PS3 etc so viewers could watch with ease, wouldn’t have to resort to BitTorrent and could share links to favourite iPlayer programs with friends without needing to pirate copies. Rose says the dilemma for the Australian TV Network catchup services is where to spend developer resources. As an example UK broadcaster ITV opted to use the 80/20 rule and develop just for for computers but this strategy is likely to make them lose the new breed of TV watchers, as reported by Hexus which says “4 in 5 [British] kids watch TV On Demand, with around half viewing BBC iPlayer and just over a third of children aged 7 to 10 tuning in to CBBC iPlayer”. 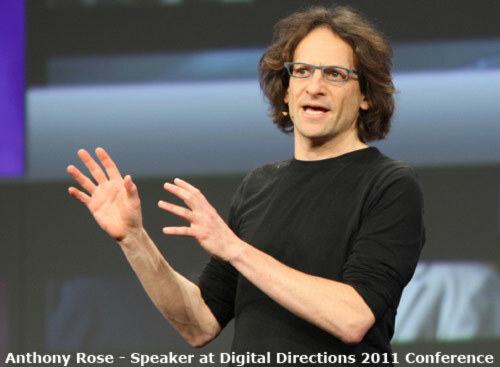 While “TV broadcasters think TV is a perfect medium”, Rose says viewers may disagree considering the small choice of live shows at any time, turning on the TV late means you miss half the show and a channel controller rather than you decides what shows are on at any given time. In contrast IPTV services like the BBC iPlayer offer most programmes for viewing up to 7 days after broadcast and the use of adaptive bitrate internet broadcasting means connected TV devices can potentially show BBC video content at a better quality than UK Freeview terrestrial broadcasts. In his experience “consumers will redefine perfection as availability over quality”. They are willing to trade lower video quality for a large on demand internet archive of content instead of settling for whatever broadcast TV has on at the time. Competitors Collaborate – The threat to linear TV may make groups like Australia’s Freeview or the UK’s Youview band together and offer a “mall of content” from all their channels. Regulators like Ofcom and the ACCC may have a look at this but as an example, Youview has been cleared by Ofcom because it is an open system where any video content provider can offer content to be ingested into the system. Issues for such systems include how to highlight the most popular content without annoying smaller partners in the consortium. Dominant Standard emerges – eg: Hybrid Broadcast Broadband TV or “HbbTV” a major new pan-European initiative aimed at harmonising the broadcast and broadband delivery of entertainment to the end consumer through connected TVs and set-top boxes. Device Manufacturer Makes Enough Content Deals To Stand Alone – eg: Sony or Samsung hits the tipping point of “enoughness” where TV watchers are satisfied with the range of video content on offer built-in to their TV/Bluray Player/Set Top Box and start to use it as their primary video watching platform. Speaking of Youview, Rose says that the UK IPTV space is changing incredibly. At the moment 2 million UK households have connected TV’s. This could be 6 or 7 million households by the end of 2011. Youview plans to launch in early 2012 and it will be challenging to gain marketshare starting then. Rose thinks these devices are great to show what’s possible technically and showcase IPTV content but the user experience needs to improved, especially browsing, navigation and searching. By all means spend the money to get a TV with internet connectivity built-in but understand it will definitely be obsolete within a few years. Think about it … what if Internet connected TV’s were popular a few years ago and had built-in Myspace and Friendster access. These parts of the TV would be mostly useless today. He agreed with me that the IPTV parts of TV’s purchased before 2011 will become obsolete very fast but it feels ecologically wrong to throw out a working TV just because part of the software is obsolete. When this happens buyers should consider getting an internet connected “IPTV box” (Bluray player, PS3, Xbox or other home theatre device) of some sort costing a few hundred dollars and connecting it to their TV to let them view the current most popular IPTV services. If such devices gain mindshare with today’s kids and youth than they could become the default way for them to watch video content. Avid users may not feel the need for live TV broadcast over the air through an antenna at all in the future. Many Australian technology journalists fear that if popular overseas IPTV services like Hulu or Netflix were offered in Australia they would be crippled so they wouldn’t directly compete with free to air TV. Rose thinks Hulu has a nice user interface and product proposition but IPTV is still mostly about the content rights within a particular geographic region. The user interfaces for most IPTV systems built by TV broadcasters and device manufacturers will become better over time as they respond to user feedback but they need to be aggressive in getting internet rights to a broad range of popular content. The key question for our incumbent broadcast TV networks is whether they want to become an internet video content provider selling rights to destination sites or become an internet video destination site of choice themselves? Should they license lots of video from content creators or commission enough high quality in house video content to be viewed by the public as a key destination in their own right? Syndicating all their in house video content to competitors could lead to short term gain but long term digital oblivion. What do you think of the state of Australian Free To Air TV and their IPTV services? This is exactly the kind of move which could result in a trans-national shift in audiences, just like the Al Jazeera example in my article.